radio Hitec Feather receiver or GWS Pico with 2 HS-50 or HS-55 servos. 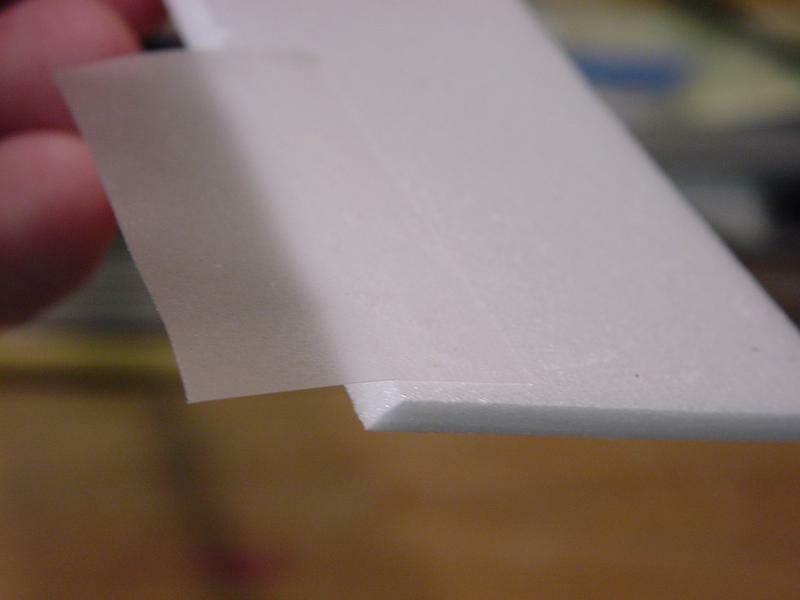 one sheet 60x30cm sheet of 3mm Zepron (stabilizer, fin, ailerons). a piece of pink foam (the insulation foam found in hardware stores for thermal insulation). 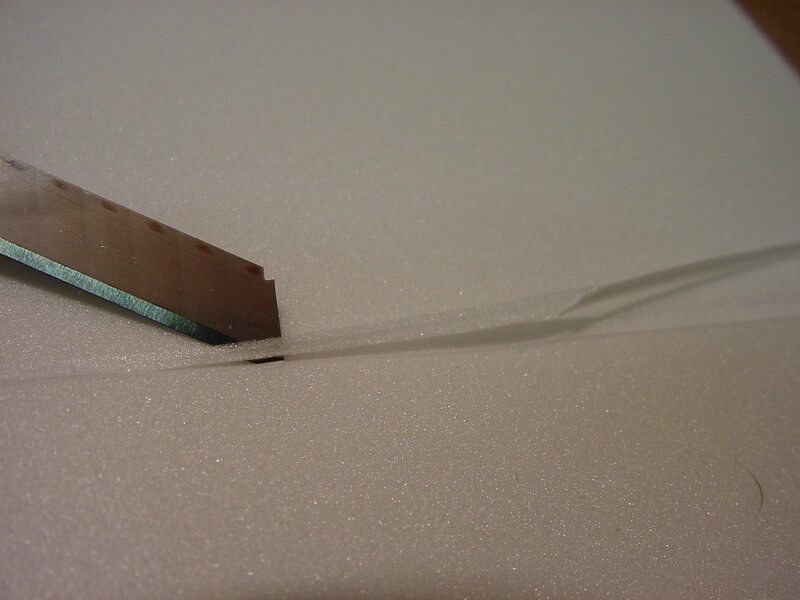 a roll of Blenderm (medical sticking tape made by 3M). a couple of self sticking velcro pads. 3 channel micro radio (e.g. Hitec Feather with feather receiver and two HS-55 or HS-50 servos). 7 cell NiCad (50-250mAh) or NiMh battery (150-350mAh). I use a 7-cell 150 mAh NiMh sold at the local Radio Shack as a replacement for 9v alkalines. I charge them at 0.3A. Some brands don't survive that treatment, but some do. The ZMF wings are made of a single sheet of 2mm Zepron folded over 6 balsa ribs. There is no need for a spar. 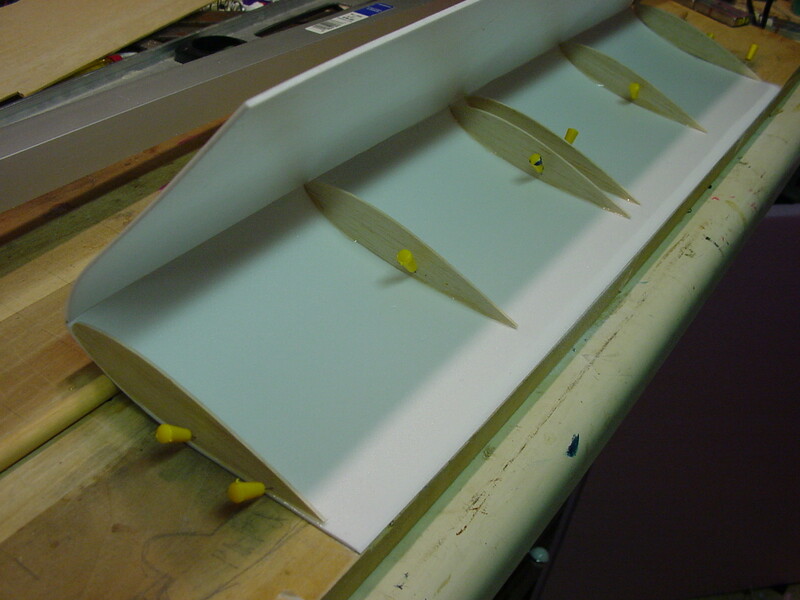 Cut 6 ribs from thin balsa (see template on the right). Hold the ribs tight together and sand them so they are all smooth and identical. Cut a 60x30cm rectangle out of 2mm Zepron. Draw a line right in the middle of the rectangle along the longest dimension, then stick Blenderm tape on top of the line. This will be the exterior of the wing. The Blenderm will prevent the sheet from breaking when we fold it. Flip the sheet so the face with the Blenderm (exterior) is against the table. Then trace a median line along the longest dimension as before. Slide a cutter knife at 45 degree angle on either side of the line so as to make a V-shape groove as shown on the picture. 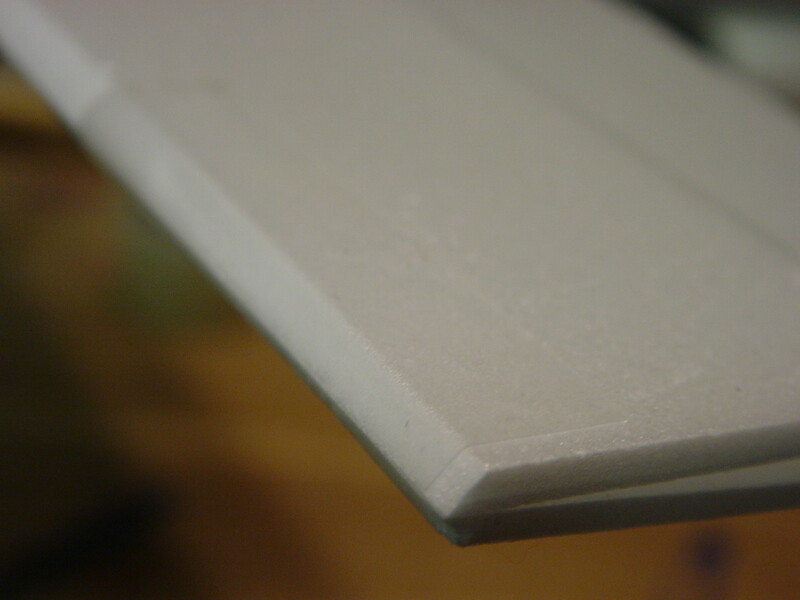 The groove should be about 1mm deep (half the thickness of the foam). Make the groove is not an absolute requirement, but it makes it easier to fold the sheet afterwards. 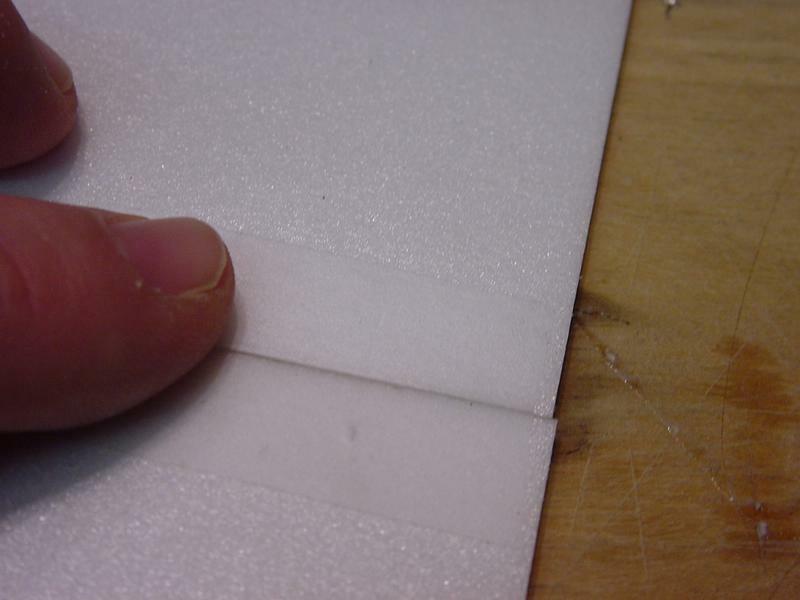 Align the edge of the foam sheet with the edge of the working surface and sand the foam into a wedge as shown. This will be the underside of the trailing edge. 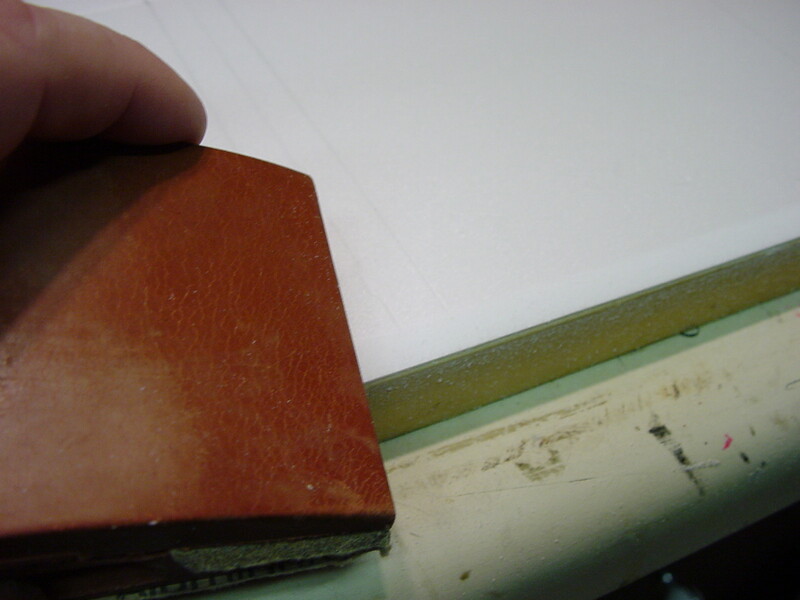 Pin or tape the sheet on the table with the edge closer to you (the one you just sanded to a wedge) flush with the edge of the working surface. 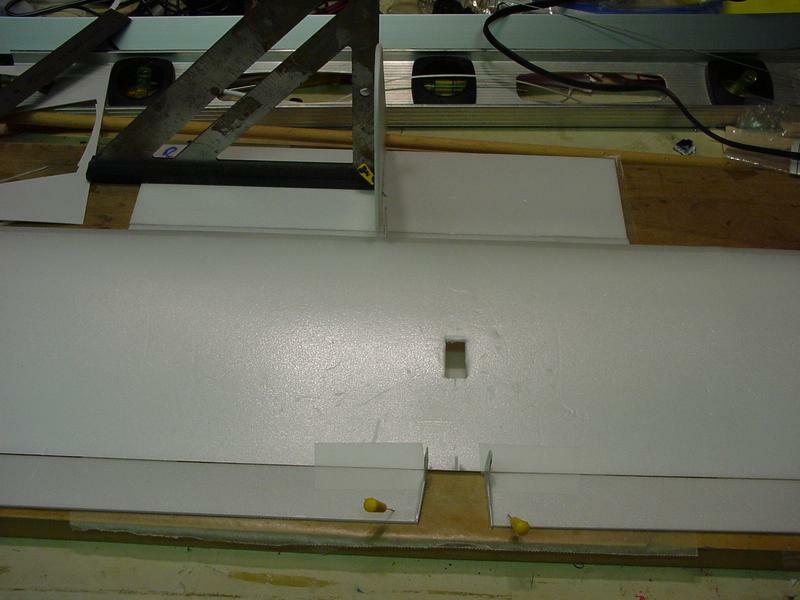 That edge will be the lower side of the wing's trailing edge. Trace the location of the 6 ribs: the 3 ribs on either side of the wing must be 1.5cm, 15cm, and 30cm from the centerline repectively. 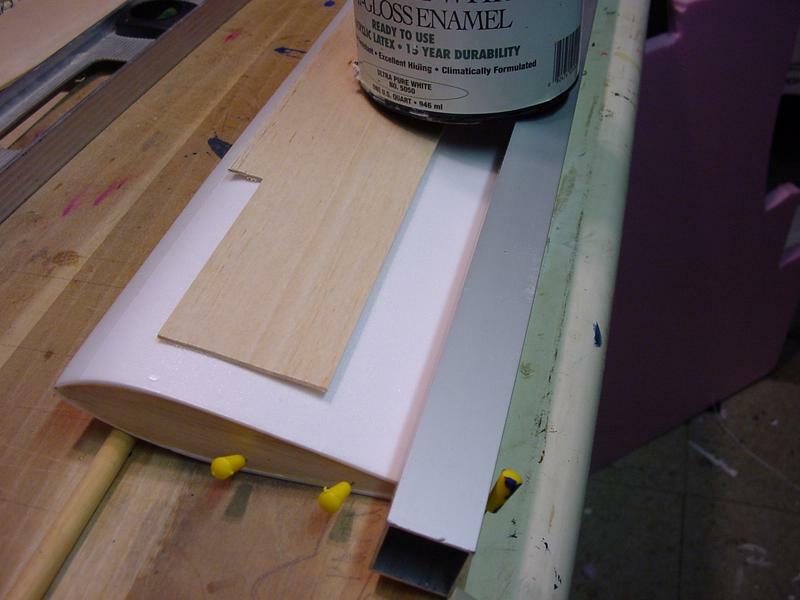 Glue the six ribs using odorless CA, 6 minute epoxy, or double-sided tape. make sure to position the ribs so that the V-groove on the sheet will line up with the front tip of ribs when the sheet is folded. Pin down the ribs by their "tail", with the front part sticking up (this process is a lot simpler with a flat underside airfoil). 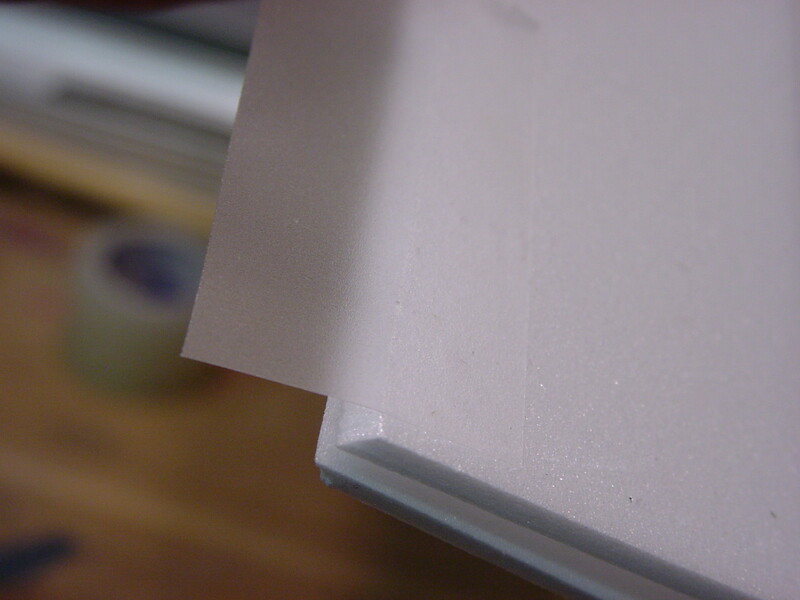 When the glue is set, fold the sheet while heating the bending zone near the leading edge with a heat gun. Fold it so the upper side of the sheet makes approximately a 90 degree angle with the table, and so that it follows the curve of the underside of the ribs. It is helpful to slide a wood dowel or a metal tube (or anything long and thin you can find) under the front part of the wing to maintain the sheet in contact with the front underside of the ribs. Glue the sheet to front of the ribs and let it set. Now for the fun part. Remove the pins from the ribs, except for the outermost ones. 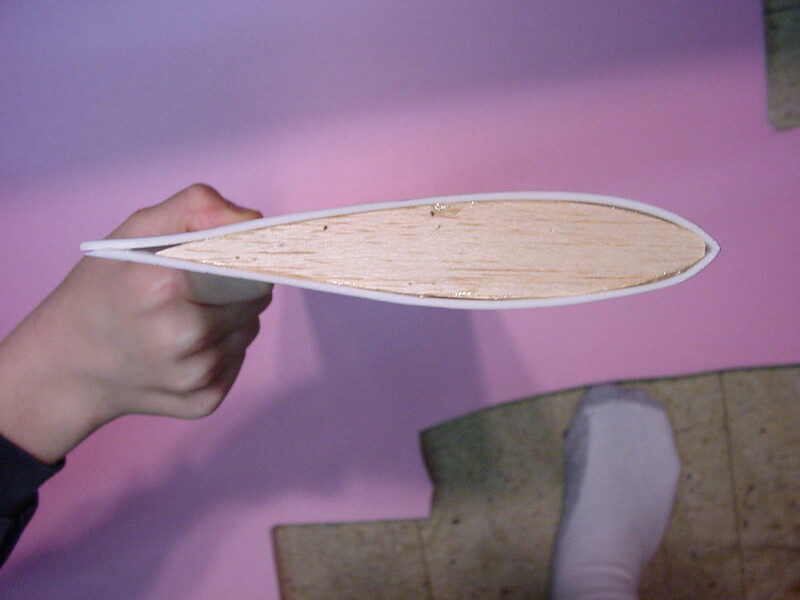 Apply glue or double-sided tape to the top side of the ribs and to the wedged lower trailing edge. 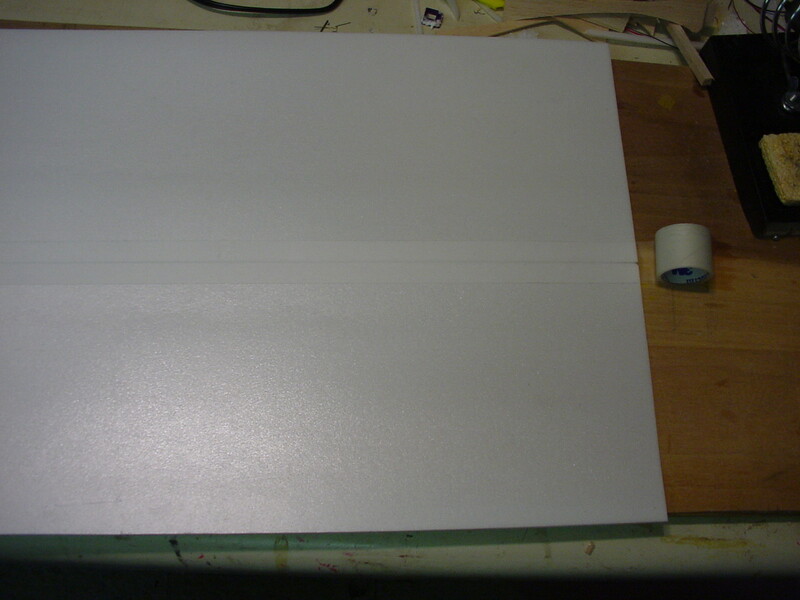 Fold the foam sheet using a long straight object (an aluminium square or something). Hold down the long straight object with a weight while the glue sets (or with your hand if you have nothing better to do). 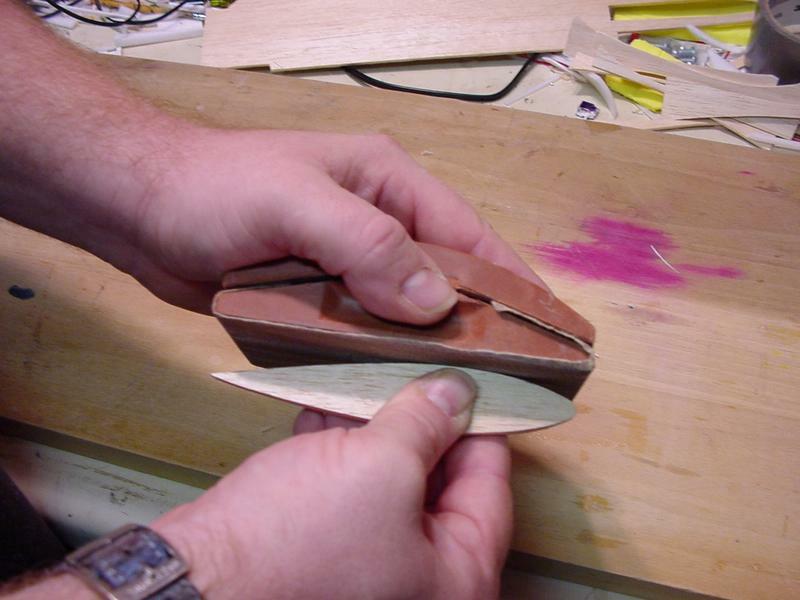 After the glue is set, you have an aerodynamically correct, smooth, stiff, and unwarpable wing that weighs about 30 grams. 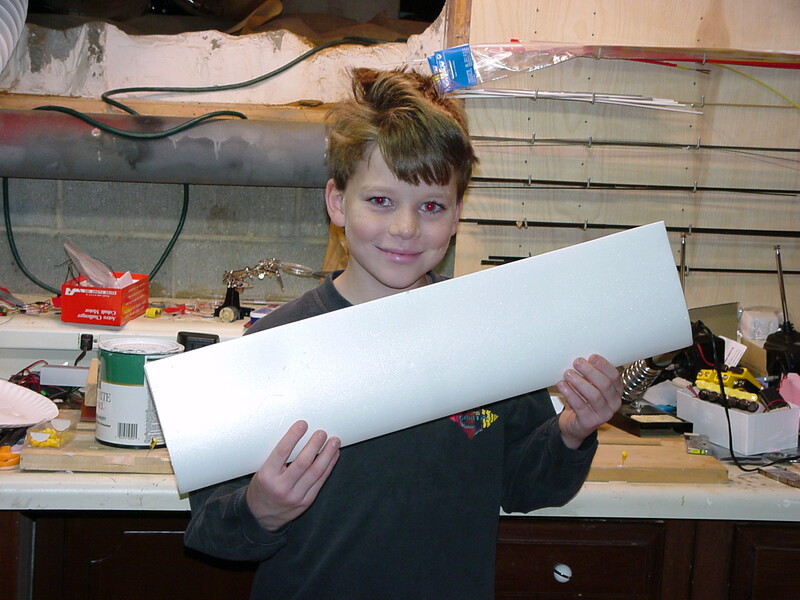 To build the horizontal stabilizer: cut a 30x12cm rectangle from 3mm Zepron. 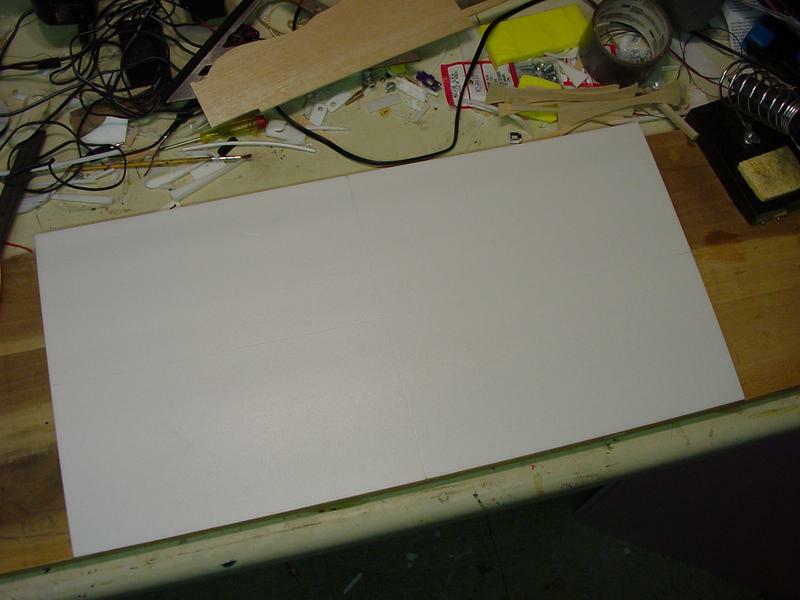 Then cut this rectangle into a 30x8 strip (the stabilizer) and a 30x8 strip (the pitch control surface). Cut it with the knife at a 45 degree angle so that you can then flip the 30x4 strip upside down and hinge it to the stabilizer with depron. To make the hinge (this applies to the ailoron hinges as well): Stick three strips of Blenderm (approximately 4cm each) to the underside of the control surface (one at each end, and one in the center). Position the control surface on top of the stabilizer as shown in the picture. Fold the Blenderm strips around the stabilizer. Rotate the control surface in its normal position. Now stick three strips of Blenderm to the top side while maintaining the control surface as in contact with the stabilizer. You now have a gap-free hinge. The ailerons are cut from 2mm Zepron. Make then full-span and 3cm wide. 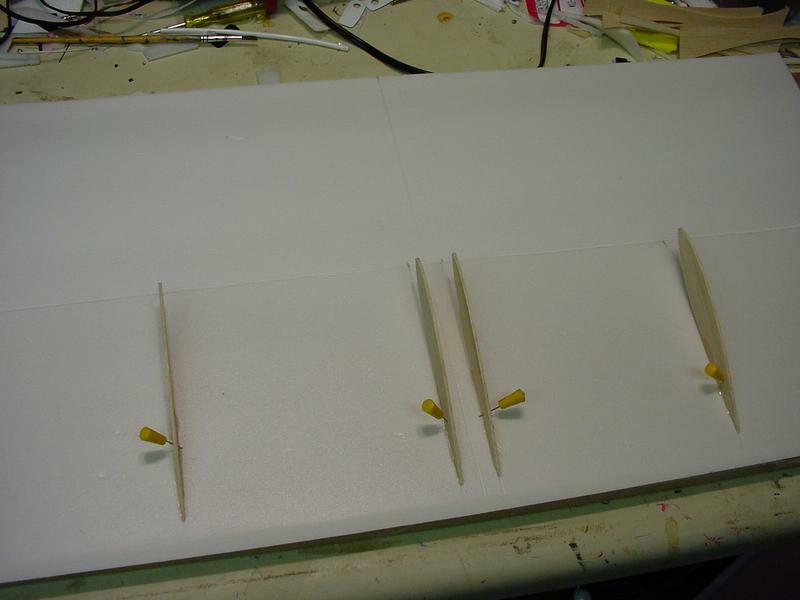 Cut the front side of the ailerons at an angle so it can swing when hinged on the wing. Cut control horns out of ABS plastic, thin plywood, or whatever material in which you can drill 1mm holes. The hole in the horn should be approximately 15mm above the hinge (assuming you will use a 25mm servo horn). Cut out the top of the wing to fit the aileron servo. Connect the servo to the horns with 1mm piano wire bent with Z-bend pliers. If you don't have Z-bend pliers, get one immediately (Tower Hobbies carries several models). The servo is held in place with Blenderm. The vertical fin is cut from 3mm Zepron. Cut a nice-looking shape that fits in a 13x13cm square. 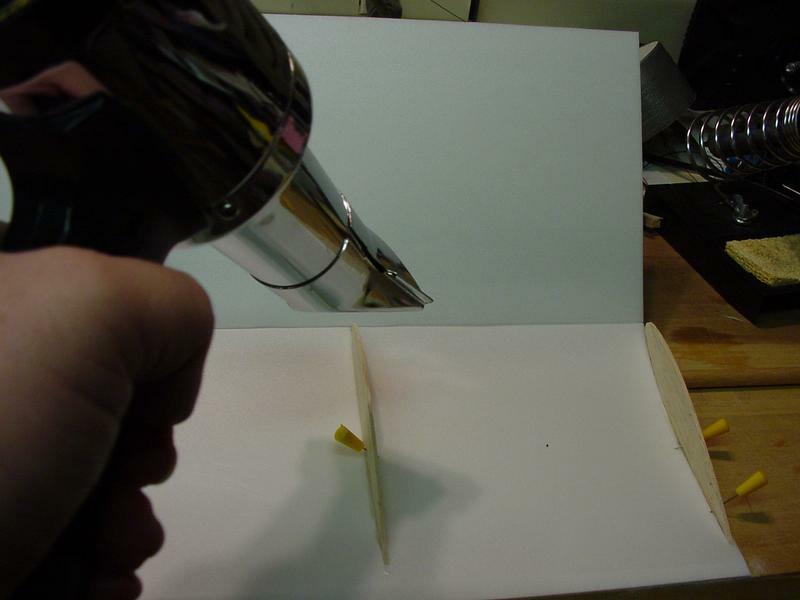 Glue the vertical fin to the horizontal fin. 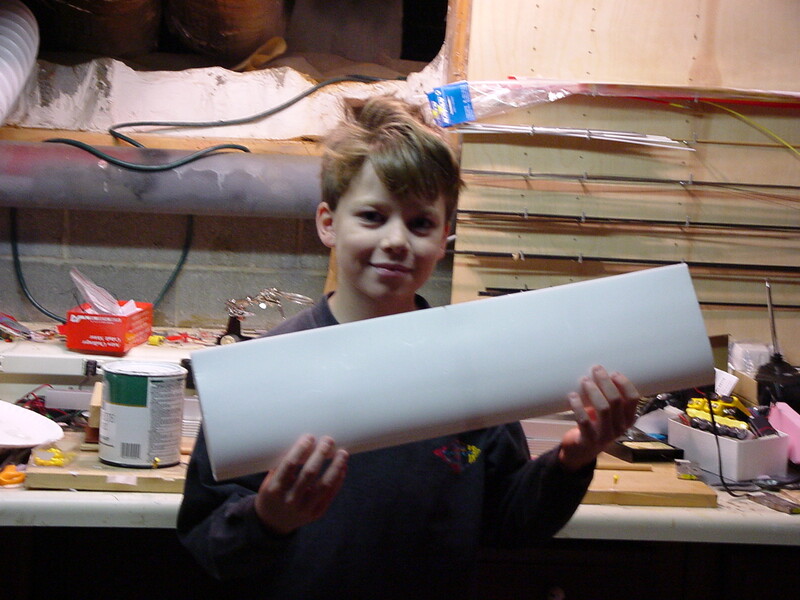 The fuselage is made from the 1'' thick pink foam found a Home Depot. It is 46cm long and 4cm high at its tallest section (right in front of the wing). Give it the shape you want, but strenthen it with thin strips of balsa, carbon, non-stretch adhesive tape, or other material. Without this reinforcements, the fuselage will break at the first hard landing (guess how I know....). 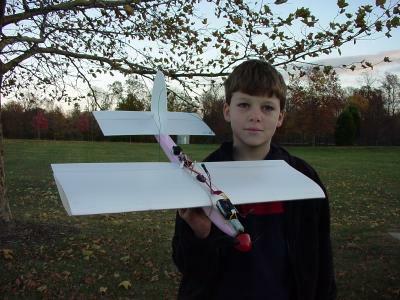 With the recommended motor and battery, the wing leading edge should be approximately 8.5cm from the front of the fuselage. Cut out the top of the fuselage to the shape of the underside of the wing (this is rather tricky). The wing is held in place with rubber bands. The motor and battery mount is a small piece of 3mm balsa covering the front part of the fuselage. The motor is simply Blendermed to it. The battery is held with self adhesive velcro disks. 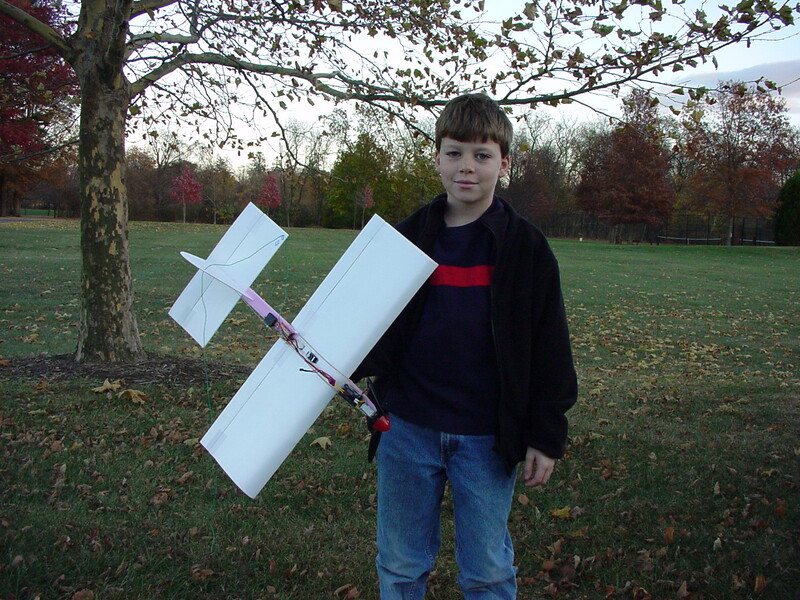 The receiver and elevator servo are positioned right behind the wing and held inplace with double-sided tape. The ZMF flies pretty slowly and is quite easy to fly. My 12 year old son flies it with no problem. Although it flies OK on a 7-cell 150mAh NiMH battery, it is much more snappy with an 8 cell 300mAh NiMH. The ZMF can do loops and rolls, but rolls are a bit slow (altitude drops fast). Have a look at the complete ZMF picture and movie gallery. Unfortunately, the movies only show it flying with a 7-cell battery, not the preferable 8-cell battery. Send comments and questions to Yann: .